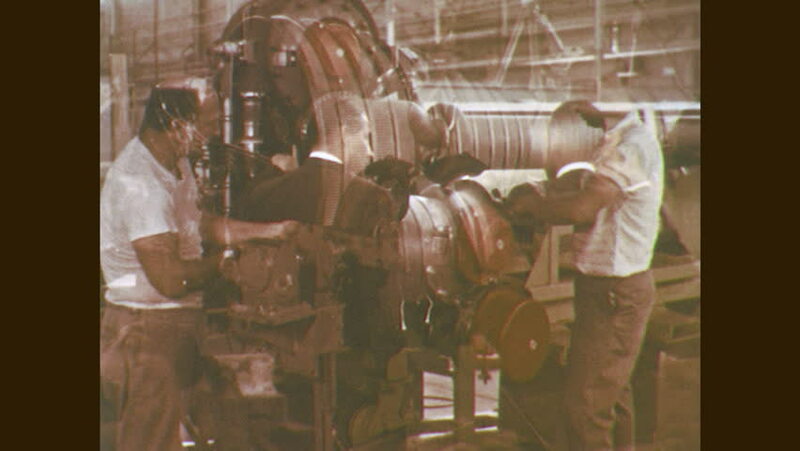 1960s: Men work on rocket engine. Men replace parts on rocket engine. 4k00:221940s: Woman cooking in outdoor kitchen. Small girl walks by. Well-dressed woman and men surrounded by young boys trying to sell souvenirs. Boys shake maracas at the tourists. hd00:171970s: Men work in assembly factory. Women work at tables. Man works on paperwork. hd01:07CIRCA 1963 - The administrator of US Veterans Affairs gives a speech at the Veterans Day Ceremony held at Arlington National Cemetery. 4k00:241950s: Water bubbles in chemistry flask as man in white coat watches. hd00:20UNITED STATES 1960s: Man drinks water, washes hands with water from cup. 4k00:261930s: Men operate machine in a cannery, a man stacks cans, the other packs them. Man stacks packages with cans. Women work in an assembly line, man operates machine. Man stacks boxes inside closet.